(eight Hundred and fifty Thousand Euros). Due to mix up of some numbers and names, we ask that you keep your winning information confidential untill your claim has been processed andyour money Remitted to you. This is part of our security protocols to avoid double claiming and unwarranted abuse of this program by some participants. All participants were selected through a computer ballot system drawn from over 20,000 company and 30,000,000 individual's email addresses from all over the world. 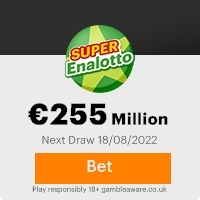 This promotional program takes place every year.This lottery was promoted and sponsored by International software organisation committe,we hope with part of your winning you will take part in our next coming ( 1 million euro) international lottery. Contact your claim agent for due processing and remittance of your prize money to a designated account of your choice. Remember, you must contact your claims officer not later than 31th,OF MAY ,2007.After this date,all funds will be returned as unclaimed. NOTE: In order to avoid unnecessary delays and complications, please remember to quote your reference numbers in every one of your correspondences with your officers. Furthermore, should there be any change of your address, do inform your claims officer as soon as possible. Congratulations again from all our staff and thank you for being part of our promotions program.We wish you continued good fortunes. MSN Messenger : appels gratuits de PC � PC partout dans le monde ! Previous: CONGRATULATIONS YOU HAVE WON!! !Fresh ScamsNext: Congratulations on you ... rd!!! This Email with the Subject "CONGRATULATION EMAIL OWNER" was received in one of Scamdex's honeypot email accounts on Thu, 17 May 2007 01:27:57 -0700 and has been classified as a Generic Scam Email. The sender shows as "free lot" <freelot_bf08@hotmail.com>, although that address was probably spoofed. We recommend that you do not attempt to contact any persons or organizations referenced in this email, as you may expose yourself to scammers and, at the very least, you will be added to their email address lists for spam purposes.